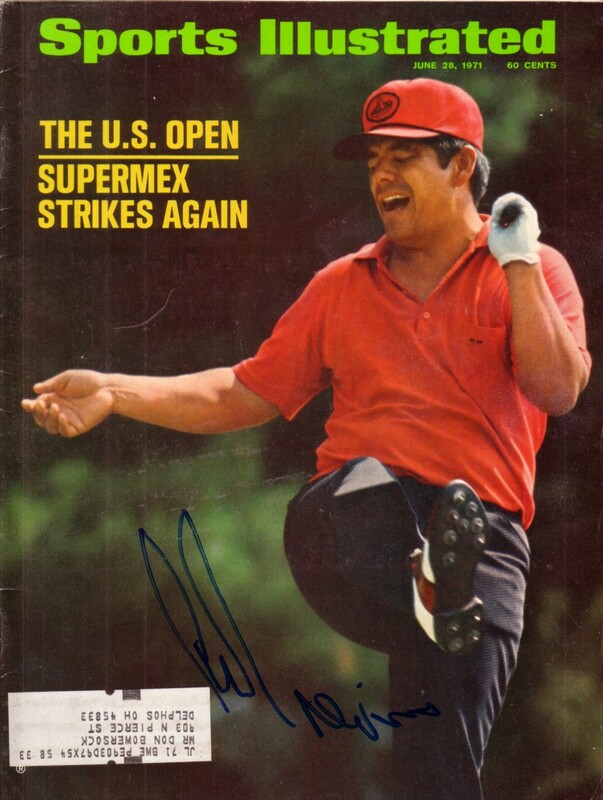 1971 U.S. Open complete issue of Sports Illustrated autographed on the cover by golf legend Lee Trevino. Has minor flaws/wear. Obtained in person at Champions Tour event, with certificate of authenticity from AutographsForSale.com.